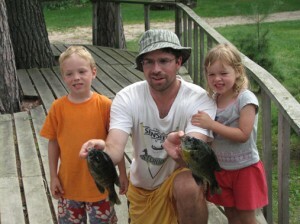 Let’s Talk About Minnesota Family Vacations!! Spring is my second favorite time of the year. That’s because it is the season where I anticipate my first favorite time of the year – summer! In northern Minnesota we prize our spring and summer because they are so brief. The first warm, sunny day of the year we all suddenly remember why we tolerate the long and (sometimes) dreary winter. The sky seems bluer than we remember and the air is sweeter. Even though we still don’t have any leaves on the trees we are excited by the buds that we see on the trees and bushes. We know one day soon we’ll be in the car on the way to town and all of the sudden realize that the trees have leafed out. The new green of the leaves is so beautiful against the dark green of the pines that I take almost as many pictures of trees in the spring as I do sunsets over open water. Ok – well maybe not…I have thousands of pictures of sunsets. I just can’t stop taking them. Each one seems so unique, ya know?! It’s not just the weather that amps up our anticipation of summer, either. 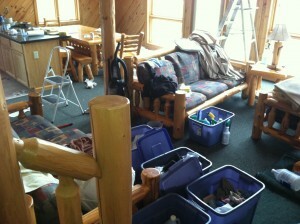 We love getting into the cabins to get started on our projects. We can finally put into action all the plans we had during those winter trips to Home Depot to look at flooring, vanities, windows and doors. (I think I may have mentioned before that we always end up in Home Depot on our date nights!) But now is the time we get to charge…er…I mean buy all that stuff we were looking at. 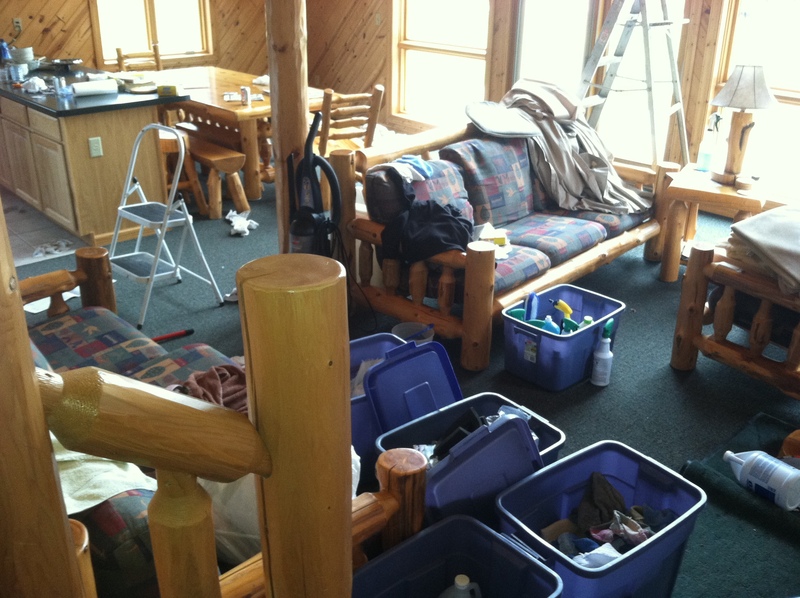 Of course, then we have to haul the stuff home, find somewhere to stack it in the cabin that is already construction-zone messy and by that time it’s not so fun anymore. I tend to get stressed out at that point about all the projects we have going at once and I have to get back to “my stuff.” All of “Jay’s stuff” gives me a stomach ache so I give myself permission to walk away after unloading the truck. Aren’t they beautiful?! 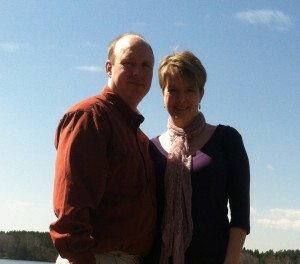 They’re even prettier than that lakescape behind them. But here’s the really, really big thing that makes us anticipate summer…it’s our guests! All of our cleaning and fixing wouldn’t be nearly as fun if we had no one to share it with. So we love to see our guests come rolling in the drive ready for their Minnesota vacations! The kids usually burst out of the car like fireworks. And for the first hour they are here they bounce between their cabin, the beach, the game room and the playground like deranged ping pong balls. We love it! What other profession could we have chosen where our customers are happy just to arrive at our place of business?! Their excitement is infectious and it gives us the boost we need after working hard all spring to get the resort ready. Look at those faces. 🙂 Minnesota family vacation at its finest! Minnesota family vacations have a long history in this state. 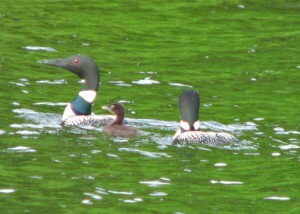 Many of our repeat guests have been coming to Wildwood for decades. 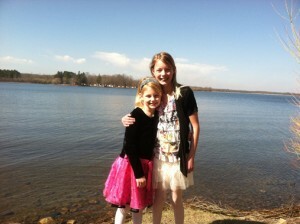 In fact, many of them have been vacationing at a Minnesota resort since they were kids. It’s an unfortunate truth that the tradition of a MN family vacation is losing ground with today’s families. The ease of air travel and the lure of far flung vacation destinations means that fewer families today consider a Minnesota resort vacation the “must have” that their grandparents did. That fact concerns us for the obvious financial implication it has for our family-owned business. However, it saddens us for a far more important reason. The single greatest thing about bringing your kids on a vacation to a Minnesota resort is something that you can’t really put a dollar value on and that’s time. We are all so busy running to keep everything on track that we never feel like we can just unplug. In fact, with our smart phones (yes – I’m a junkie, too) we’re NEVER out of touch or out of reach. I can speak for our family and say that Jay and I are never 100% focused on our kids unless we leave home. With a home-based business like ours we are never off the job. We’ll eat supper in exactly 30 minutes unless something comes up between now and then to throw a monkey wrench in that plan. I bet the same it true for many of you! And that’s what I love about Wildwood. Our guests show up with nothing to do during their week except relax and spend time together on the beach or fishing for big sunnies or napping on a lounge chair. There is a peace here that is soothing and, although I am completely biased on the subject, it is a refreshing change from the usual frenetic pace of life. There is a reason many of our guests are teary-eyed when they are packing to go home! Time is a magical thing that bonds families together with glue made from shared memories and maybe a little left-over stickiness from s’mores by the campfire. Won’t you spend some time at a Minnesota resort this summer? You won’t regret it! 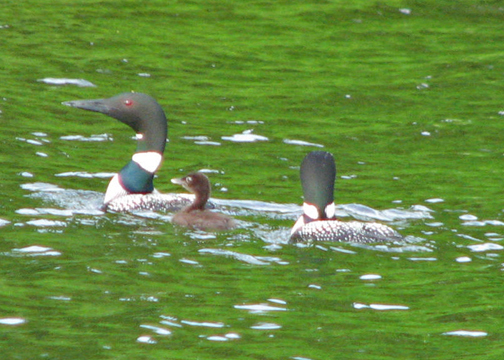 One last thought before I close my blog for today…the loons are back. 🙂 I heard them yesterday. It’s always so thrilling the first time we hear them each year. Summer really is around the corner! Yep – that’s Jay without a hat! Even his mama might not recognize him without his Wildwood hat on.